i’m almost low maintenance to a fault when it comes to self-care and taking care of my skin. for years, i barely washed my face or moisturized on a consistent basis. i know, that’s bad! it never really felt worth it to me because i didn’t notice that much of a difference and sometimes my face would even break out if i did anything to it. i was always bummed about the dryness but never took initiative. that all changed when about 8 months ago i started using the line. i have really dry skin and sort of just thought that was the way it was for me but i can honestly say that my skin has changed so much since i started using their line. in particular, and . people have even commented on my skin, which neeeever happened before. that’s why i’m so excited to be able to do this giveaway where one person will win four of my favorite products from the line! and they are also offering a 15% discount off orders* between today and October 2nd so stock up while you can because they almost never do any discounts! the mask is something that i really noticed a difference using. i use it about 2-3 times a week. you just apply a layer to your skin and let it sit for 2-5 minutes. just leave it on while you brush your teeth or something and then use a warm washcloth to remove it. you can start to feel it tingling closer to 5 minutes and can feel it really working on that dry outer layer. apply the oil and serum after and your face feels amazing!! especially with a final mist. it has become my new obsession/routine. and all of their products have NO added toxins in them, so you can feel great using them. i brought the line with me during my recent trip to europe and it really helped maintain my skin quality with all the travel. the mist is one of my favorites, it’s an instant refresh, smells SO good and is very rela. i actually use it as one of my daily anxiety relievers and it helps me a lot. seems silly, but works for me! i totally understand that their products are pricey. if you’re looking to try the line but want to start small i’d suggest beginning with . and using almost a full dropper 2 times a day. if you have dry skin like me, i would say the moisture mask is next inline in terms of changing my skin and helping with the dryness. my four favorite products and the ones you can enter to win are the , , and (a $375+ value!). CLICK THROUGH TO ENTER TO WIN THE GIVEAWAY & GET THE DISCOUNT CODE! 1) visit the site and take a look around! You can take their for product recommendations. 3) leave a comment below telling us one item from their line that you’d love to try. one winner will be selected at random to receive bri’s four favorite products valued at $375+. the giveaway closes on October 5th at 10am. open to our readers in the United States only, sorry! one entry per person, multiple entries will be automatically disqualified without notice. must be following True Botanicals on at the time we select the winner. check out using DESIGNLOVEFEST15 between today and October 2nd. the mist or oil would make an awesome christmas gift! *discount cannot be applied to previous orders, combined with any other promos or used on kits. I would love to try the nutrient mist! My eye area is very sensitive and some mists make them uncomfortable all day. This one sounds so nice and soothing! I would love to try the oil! I’ve been looking for a face oil and I’m intrigued by your rave review! I’d try a face oil! I love doing a weekly face mask (self care Sunday!) and since my skin is on the dry side I would love to try the resurfacing moisture mask! The antioxidant booster looks fantastic! Too many to choose! I’d love to try the mask, mist, grains added to cleanser looked really nice, and renew mask! I love that they have pregnancy safe products too! I’l love to give the renew radiance oil a try! The cellular repair serum looks like it would work wonders! And wonders is just what I need! I would love to try the cellular repair serum! The pure radiance oil sounds AHHHHMAZING! I’ve been getting really into serums lately, but haven’t bitten the bullet with more expensive options (The Ordinary all the way). I would love to try The Cellular Repair Serum and see if I notice a difference in my skin. my dry skin needs that facial oil! This line looks so niiiice. I would love to try any of their mists, especially the calming one. I love the oil and mist, but haven’t tried the mask yet! I would love to try the antioxidant booster! I’d love to try the hydrating serum. I am obsessed with masks, so I’d love to try the moisture mask. Honestly, I’d love to try all of them! That Cellular Repair Serum has my name all over it! Would love to try. I’ve always had pretty dry skin, especially around my T-zone. My current moisturizer definitely isn’t cutting it. I’d love to try the moisturizing mask and the oil to target those dry areas. What a great give away! I have been looking for a new vitamin C serum this looks like the perfect option. always wanted to try the renew oil! I took the skin care quiz, and was recommended The Hydrating Oil, Basics. I’d totally give that a try. would love to try that mask! The cellular repair serum sounds amazing! I’m really interested in trying these clean products that work! I’m all about trying the Hydrating Cleanser! My skin has changed since getting pregnant and I think it would help clear up many issues. Love the branding! I would love to try the radiance oil, but they all sound amazing!!! I love the resurfacing mask! I’d definitely like to try the resurfacing moisture mask. My skin needs the Resurfacing Moisture Mask! I’ve been using the oil and LOVE it. It is pretty pricy but, I love the way it feels on my skin and oh my it smells so good! I would love to try the Vitamin C Booster! I’ve been wanting to try the moisture mask. Love their packaging/bottle design too. I’d love to try the Pure Radiance Oil! I’ve had hyperpigmentation and acne scars for years that I’ve tried to remedy and have read rave reviews that this oil could help brighten my complexion. That Deep Repair Eye Serum! I’d love to try the cellular repair serum, but everything looks amazing! would love to try a facial oil! I’d love to try the repair serum! YES! I’ve been hoping, praying, wishing to try out the True Botanical products for sometime. I told my hubby I only want the whole basics line for Christmas, nothing else. 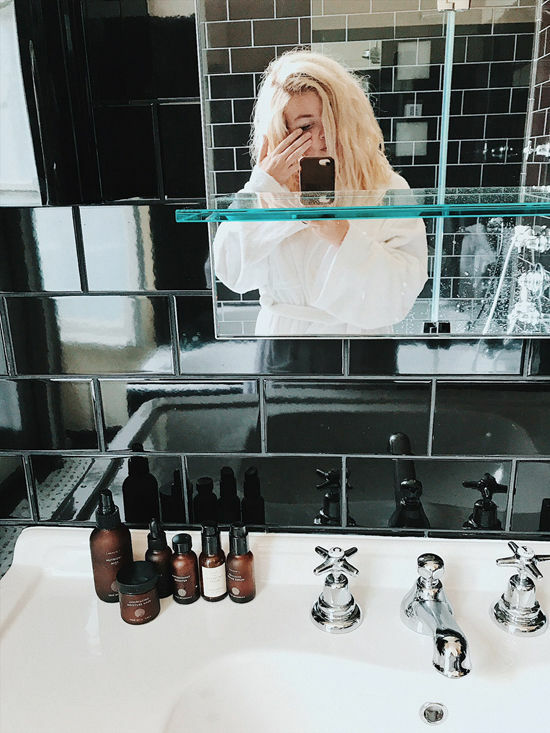 Bri – I’m with you on being lazy about face care and I’d probably start with the Moisture Mask. The Pure Radiance Oil sounds wonderful! i’d love to try the serum! i just turned 31 and i feel like skincare products are suddenly so confusing, there are so many that claim to do so much. i just want something a clean line that takes all the guesswork (and toxic ingredients) out of it. My dry dry skin needs the pure radiance oil for sure. Honestly I’d love to try it all, but the cellular repair serum would be a good start! 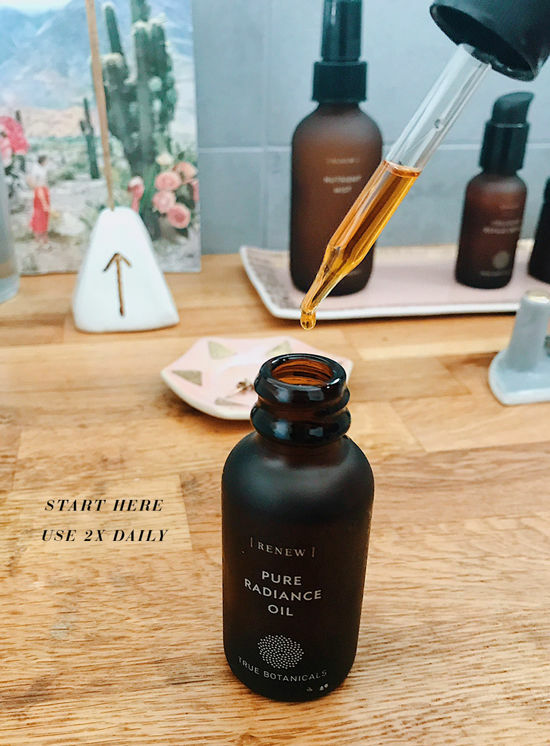 I would LOVE to try the Pure Radiance Oil…moving into my 30s is wonderful but I’m starting to really notice some fine lines I wish would go away (I know, signs of a good happy life so far) but this product seems like just the trick! I took the quiz and the radiance oil is recommended – would love to try it! Also the hydrating cleanser. The Clear Trio looks dope! Love when I don’t have to wear make-up cause my skin is on point. The Smoothing Eye and Lip Balm Jar looks heavenly! My lips are always so dry. i want to try the antioxidant booster! The moisture mask sounds amazing!! Could definitely see this fittin into my skincare routine! Cellar Repair Serum, Renew to help fight my hyper pigmentation. My skin is weird after having a baby! just what my skin needs! I have super dry skin as well! I would love the renew oil! I’m dying to try the face oil! I’ve been wanting to try True Botanicals for months now but haven’t quite been able to commit. I’d love to try the Pure Radiance Oil, it sounds amazing! I would try their hydrating cleanser, I’m still searching for a good daily face wash to become my go to! Would absolutely love to try the Pure Radiance Oil! I’ve been REALLY wanting to change up my skincare routine these days, my previously simple solutions have not been working and I’m constantly left with dry + red skin. I would love to try the resurfacing moisture mask, I think it would do wonders for my face! 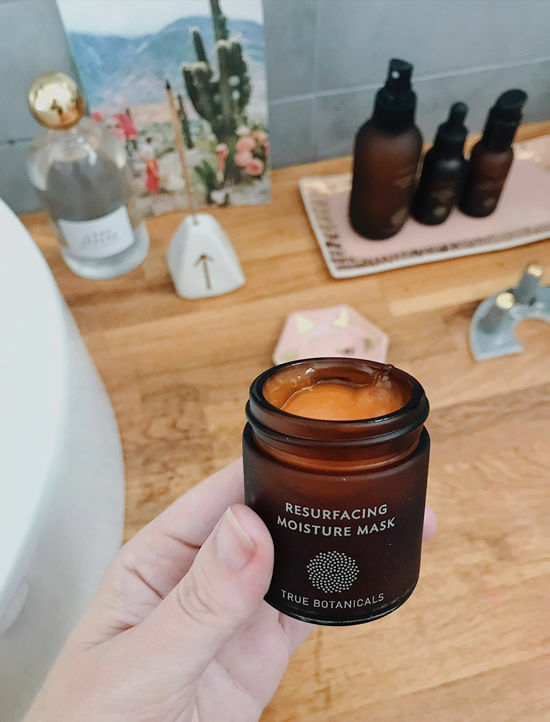 I’ve heard about True Botanicals for a little bit and would really like to give them a try! Would love to try the Nutrient Toner! I’d love to try the antioxidant booster! i would love to try the pure radiance oil clear because adult acne is REAL. I just found out I’m pregnant and I’m wanting to switch to natural skincare. The Hydrating Cleanser seems like the perfect place to start! I want to try their replenishing RENEW oil! I’d love to try the Pure Radiance Oil, which was also recommended for me based on the skin quiz. I’ve heard so many amazing things about True Botanicals and would love to try! I have very sensitive skin so these products all sound so amazing! Took the quiz and I think the one I’d like to try is the hydrating oil. I would love to use the oil to help with my severe combination skin!! Been following for a while now and would love to try the face oils. Stress is taking a toll on my skin. ohhhwee! i love it all, but the Vitamin C Booster would be a sweet addition to my current skincare routine. I would love to try the Pure Radience Oil!! I’ve been looking for an oil that is hydrating but doesn’t cause breakouts! I love using oils on my face, so I’d definitely love to try the pure radiance oil! my skin is so insanely dry all the time and I would love to try the face oil! I would love to try the Pure Radiance oil! Their whole line seems amazing. I would love to try the Pure Radiance Oil! I think that rich oils can really transform your skin and make it glow (in a good healthy way ofcourse lol) from whithin! I haven’t try any oil on the past cause they are expensive but I definantly want to improve my skin routine, I am obsessed with skin care products!! I’m pregnant and my skin is breaking out so I’ve been looking for better and more natural remedies, I’d love to try to pure radiance oil! I would love to try their Pure Radiance oil to alleviate some of my redness! This skincare line seems like the real deal! The moisturizing mask sounds dreamy- I would LOVE to try it!! The Cellular Repair Serum Clear looks amazing, I’d love to try that or the Pure Radiance oil. All about those beauty oils! I too have moments of uncontrollable anxiety. I’m willing to try everything and anything to combat it. I would have never thought of looking towards a skin care line to help with this! I love that this product can have multiple uses! I would love to try the facial mist! I got a mist from another company awhile back but the smell bothers me. So I would love one that smells great! I did the skin quiz and got recommendations for the hydrating oil and the hydrating cleanser!! I hate having drink skin so I think these two would be perfect! I would LOVE to try the PURE RADIANCE OIL, CLEAR, for my pesky skin that’s constantly giving me issues with adult acne & dryness. Looks like the perfect answer to my problems! Good luck to everyone! I just ordered some samples of true botanicals because I am dying to try their products! I started with the basic set and am LOVING the face wash and oil, but would really like to try the cellular repair serum to add to the mix! I’d love to try the cellular repair serum! Just into my thirties and anything to help keep my skin looking fresh and young is 💯! OH MY GOSH! I was just looking at buying some of their products then other day! Thank you for posting this. I am pregnant and wanted to find some cleaner products so I hope I win!! Need the pure radiance oil ! I’m dying to try the Cellular Repair Serum in Clear! I’d totally would like to try the radiance renew oil!! I’m turning 30 in November and I’m trying to up munskincare game! I’ve been eyeing this line for a while. I’d love to try the radiance oil! I’m so glad for the recommendation! With winter coming up in NYC I definitely need to give the radiance oil a try. I’ve been eyeing this brand for some time now. I’d love to try to moisture resurface mask. Masks are my favorite. I checked out their page the other day when you posted about how much you loved their product line. I’m not sure which product would be my favorite?! Let’s be honest, I’m a mom of two boys, anything would help at this point! The Repair Serum sounds like an absolute dream! I totally agree, I am much more likely to spend on my skin than I am on clothing, because my skin is mine forever. Taking good care of it is super-important (and I’m terrible with makeup, so skin that looks good on its own is essential for me, haha). The resurfacing moisturizing mask I need to try for my dry skin! Pure radiance oil for sure !! I would love to try to clear kit!! I’d love to try the resurfacing moisturizing mask after your recommendation! My son is constantly touching my face with his sweet dirty hands. I could really benefit from the mask and/or clear kit! Lovely giveaway! I would love to try the pure radiance oil! I’ve been saving up for awhile to buy some of these products ever since you mentioned them during the summer! I’d like to try the mask! My skin has been looking dull with age and I would love to give it some life. I’d love to try the radiance oil! I’ve been using pure rose hip oil for 2 years now and I love it but would definitely be interested to try something new. The True Quiz recommended the Pure Radiance Oil as my top pick, I’m excited that’s part of the giveaway!! I also read these products work better than Proactiv, which I currently use, so this would be super great to try! I’d love to try the Pure Radiance Oil! Everyday Sheer Coverage SPF 20 because I love being outside but also love having nice skin. I want to try the cellular repair serum! I’ll try anything to not have my skin resemble an orange peel. Maybe the cellular repair serum? A miracle? would love to try the moisture mask!!! So wonderful to hear such a rave review, Bri! Thrilled to hear you’ve found such good products that work for you. As someone with an autoimmune disorder, my skin desperately need some loving. I’ve tried so many products! Even started creating my own but still not quite happy with my skin these days. Entering my 30s definitely isn’t helping either, haha. I would love to try TB’s Renew Oil! It sounds amazing and I’m excited to hear how well it’s worked for you! I really want to try the cleanser. I’ve always had the hardest time finding a cleanser that is both cleansing (what a concept!) but also moisturizing and replenishing! The Resurfacing Moisture Mask is really speaking to me! Would love to try that one! I’ve been so intrigued by the Pure Radiance Oil, CLEAR. I’m in my 30s but still suffer from acne, ugh. I’d love to see how this works! I’ve been wanting to try their oil for a while now, sounds lovely at the end of a long day. The Pure Radiance OIL Please!! I would love to try the oil! I moved to Utah from Florida 10 years ago and my skin has never recovered! I need a new face oil! I really want to try the hydrating cleanser and cellular repair serum. Too hard to choose one! I’d love to try their cell repair serum! Vitamin C booster for sure! Would love to try the Hydrating Oil Basics!! cell repair serum is calling my name! I’d love to experience the magic of the Pure Radiance Oil! I would love to try the Cellular Repair Serum, RENEW! Living in LA I feel like even though I wear SPF I’m getting sun exposure. The nutrient mist is calling my name! I would love to try the clear duo and the anti aging collections. I would love to try the resurfacing mask! I would love to try the hydrating oil, basics b/c I’m newly pregnant and have been searching for all natural skincare. I’d love the calm oil! I would love to try the hydrating cleanser. I have yet to find a cleanser that I truly love and as a broke 21-year-old, I would never be able to afford their products on my own haha. I would absolutely love to try the cellular repair serum! All theit products seem terrific, can’t wait to try them. Cellular Repair Serum.. umm, all of them really. I would love to try the oil! I took the test, and I would love to try their Pure Radiance Oil, especially if their claims are true. I need that resurface moisture mask BAD. I like the sound of the antioxidant booster! I’ve been looking for a good mask and also have dry skin that will sometimes break out when I put product on it (why?? ), so I would love to try the mask you mentioned! I’ve been eyeing their products for so long!! I’d love to try the antioxidant booster. I’d love to try any of the hydrating cleansers! I’d love to try the Pure Radiance Oil! I need a good oil for my face!!!! Looks amazing!!! I’d love to try their antioxidant booster or the oil! That antioxidant booster sounds like a dream for acne and fine lines! I’d love to try their antioxidant booster or the oil!!! I would love to try the antioxidant booster! I’ve never heard of adding a booster to serums, but the natural science behind it is fascinating! Antioxidant booster!!! Sounds like it’s everything I need!!! I love face oil!!! would love to try out this one. I would try the Pure Radiance Oil. I love that it strengthens barrier function and fights free radical damage without clogging pores. It’s so important to protect your skin! I’ve been wanting to try so bad! I Iove that they have a safe for pregnant/nursing line. I feel like every skincare should take note! It is so hard to get answers if it’s safe from people in Sephora and I have to go do my own sleuthing. Would love to try the renew pure radiance oil!!! id love to try the cellular repair serum and the pure radiance oil! always so frustrated with my skin and always willing/wanting to try something new to see if it works for me! I’d love to get my glow on with the resurfacing moisture mask! Pure Radiance Oil sounds perfect for me! I’ve recently started taking better care of my skin, which has led me to notice more when it’s dry and acne pops up! How can I name just one??? Tie between Pre-Cleanse Oil and the Hydrating Cleanser! Also interested in the Renewal line. I’d love to try the nutrient mist! This skincare looks incredible! I would love to try the Resurfacing Moisture Mask, my skin is feeling amd looking dull. The cellular repair serum, renew catches my eye! I would love to sample! I’d love to try the EVERYDAY SHEER COVERAGE SPF 20 and the Deep Repair Eye Serum. But, also, really, everything! So excited about this giveaway! I was just doing research on the best skin care routines before I saw your post. I would love to try the resurfacing mask and their Vitamin C booster. I struggle with dull, dry skin, so I’d love to try the pure radiance oil! I am GOING to try the Pure Radiance Oil (Clear) whether I win or not, because it sounds like it will be a game changer for my skin, which I need! A product that can fix my acne and dryness at the same time? Sign me up. I’m really interested in using their hydrating oil! Been wanting to try their products since you first shared your skincare journey with them. Gotta try that hydrating oil–especially since my moisturizer just ran out last night! Just took the quiz and it sounds like their products would really help me fix my skin! I’d especially love to try the Pure Radiance Oil, Clear. I’d love to try the Cellular Repair Serum! I have been wanting to try this company after reading so much about it. Being on a very tight budget makes it hard to get access to great skin care. I would love to try pure radiance oil. As always love the products you review! I love mists…..so that nutrient mist looks delightful. would love to try the hydrating serum! thanks for the giveaway. The Resurfacing moisture mask! I can scrub my skin and with in a day it’ll be flaky and dry again. I also had accepted this as ‘just the way my skin is…’ I’m hoping that can change for me as well! I would love to try one of the hydrating cleansers! So many cleansers leave me with dry irritated skin. Love that they’re manufactured in California too! So many things I would love to try, but I have been looking for a new face sunscreen. Their basics line looks amazing too! I also am slack on the skincare stuff. I just get overwhelmed by the options…so many. Plus if it doesn’t work then what do I do. Send Halp. 😀 I’d love to win and give this brand a try!! Ooooh, I could really use that resurfacing moisturizing mask, and I’m in the market for a gentle hydrating cleanser. 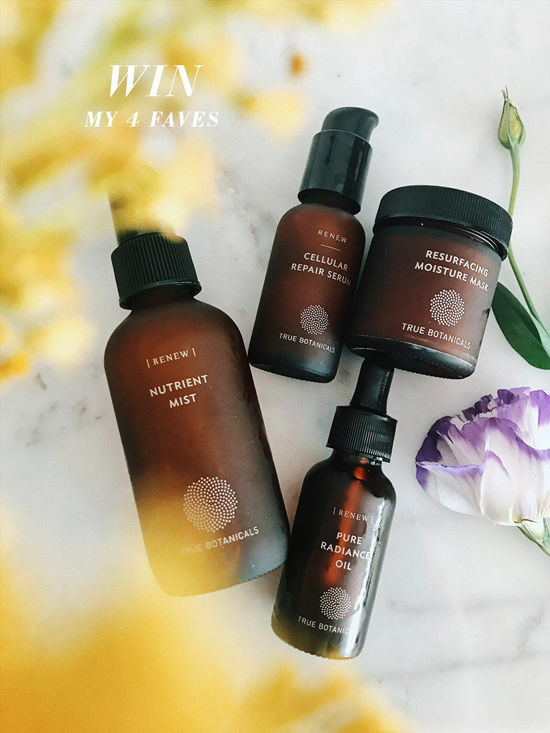 I absolutely LOVE True Botanicals and have been dying to try the face oil. The cleanser and face mist are incredible so I can only imagine the oil!!! Hydrating mist! 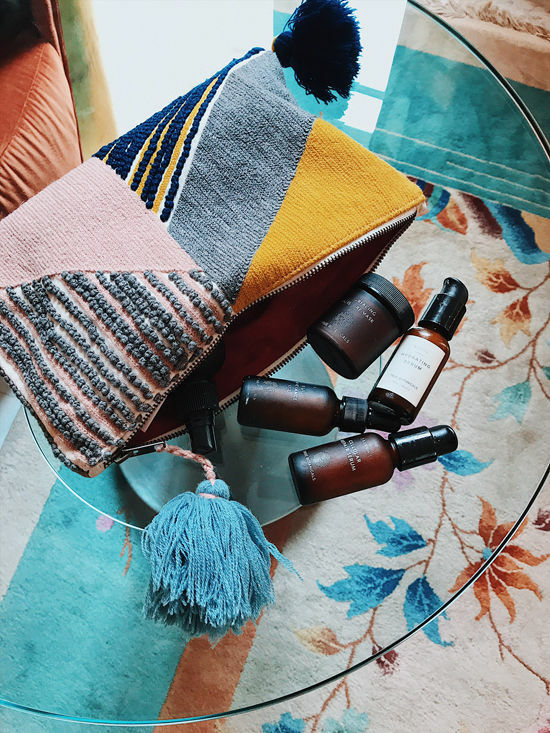 This time of year, and living in a vapid dry Minnesota winter- the hydrating mist sounds light and refreshing to use throughout the day when I need a quick refresh when I am feeling extra dry. I would love to try the cellular repair serum on my acne scars! I would love to try the oil. I’m terrible at taking care of my skin on a daily basis but I really want to try harder. This could be a good beginning. I actually already tried the clear oil and it’s amazing. I’d love to try the rest of the “clear” products!! Definitely it would be the resurfacing moisture mask that I would love to try. I find myself struggling to get smoothe skin on the surface while I can address other skin issues. Plus she makes it sound so friggin’ good. This line sounds like something I’d definitely be interested in trying because…..they have products formulated for rosacea! The pure radiance oil is at the top of my list because it’s supposed to soothe, calm, and reduce redness. After taking the quiz and knowing fine lines are my biggest concern, I’m curious about the Cellular Repair serum, it sounds magical! Would love to try the antioxidant booster and a mask and a mist and well, it all! I recently found out about this brand after your posted about it while on your trip! I took the quiz and was matched with the CLEAR Pure Radiance Oil and RENEW Nutrient Mist. I quickly snatched up a sample of both Renew and Clear products, as I have extremely temperamental skin and some products just don’t work for me. I absolutely fell in LOVE with this brand and their certified natural ingredients. I was always conscious of chemicals in items like household cleaners but didn’t even think to question the ingredients in my beauty products! I love how moisturized and fresh my face feels after just a couple of days of using the cleansers and oils and would love to try the rest of the RENEW range! My skin feels so tired and hagered, I would love to try he oil but would be grateful to try any of these products! I would love to try the pure radiance oil! Honestly? I’m the same as you pre-skincare. I haven’t done much to help myself. I am so curious about using facial oil on my dry skin, I would love to see the difference you’ve seen since using theirs! True radiance oil! Lack of sleep with my 22 month old has me way not radiant. i NEEEEEEED the oil you recommend! your skin DOES look amazing (and i have dry skin too, ugh). I too have very dry skin and have been eyeing this line for so long. I would LOVE to win. I’m already starting to save for the renew oil and that’s the product I’d love to try most! I’m dying to try to oil & mask. I have dry skin as well and after hearing about your success with it, I think Iran worth trying it out! Taking care of our skin is so important. Pure radiance oil for sure! I love oils on my face since I also struggle with dryness. Also love the idea of starting with travel size. So glad to hear this line worked for you! I really want to try the Cellular Repair Serum. I’ve gotten better about applying sunscreen daily as I’ve grown older and the serum looks like a great extra boost for my skin. I’d love all the products as I’m aging and want to look as good as I can! but I’d start with the radiance oil. I’ve been wanting to try True Botanicals for awhile now! Love natural skincare. I’m in need a new serum and would love to try the Cellular Repair Serum. Pure radiance oil! 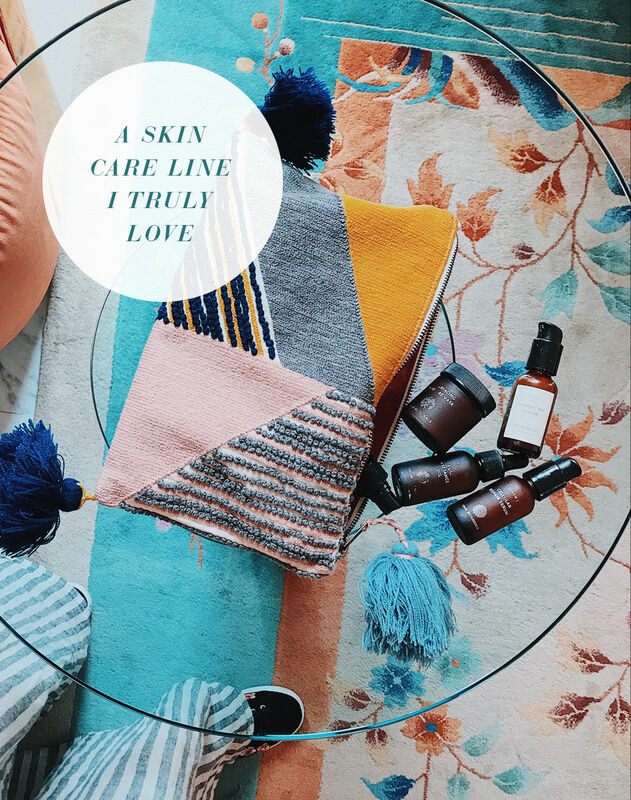 My skin can be one hot mess and I have always found certain oils to be the perfect remedy. Need to try this one! I would try the oil. I don’t do any face care other than a moisturizer every now and then 🙈 I know I need to get my life together but there are so many choices and I can’t make decisions. The cellular repair serum looks great! I would like to try the Resurfacing Mouisture Mask! I would love to try all of the products! I’ve read about them and it sounds amazing. My skin is constantly having issues. I would love to try the renew oil most! I’d love to try the hydrating cleanser renew. I’ve been trying to find a cleanser not full of so many chemicals. And this seems like a good shot! I would love to try their pure radiance oil! The face oil seems like the thing to try! I’ve red a few blog posts about the brand and would love to experience I think myself. Great giveaway! Living in Santa clarita, definitely need the sheer coverage for my face! I would love to try out the Pure Radiance Oil! The radiance oil sounds perfect for my dry/combo skin! Definitely the mask!!! I have such dry skin especially as the seasons change and would love to try something this hydrating. I would love to try the CELLULAR REPAIR SERUM, RENEW. The resurfacing mask for my dry skin! I’m very interested in the hydrating serum. I’ve been looking for a good one and I love that this is toxin free! I use their cleanser and love it! Interested in trying out the mask! The pure radiance oil (clear) seems like just what I need… oh, and the resurfacing mask! I am really interested in the oil! Your review of the product has me convinced! I look forward to trying the products! Would love to add the cellular repair serum to my routine!! I’ve been looking at True Botanicals for a while now! I have severely acne-prone skin and their approach to combating acne without exacerbating the skin’s sensitivity really caught my interest. 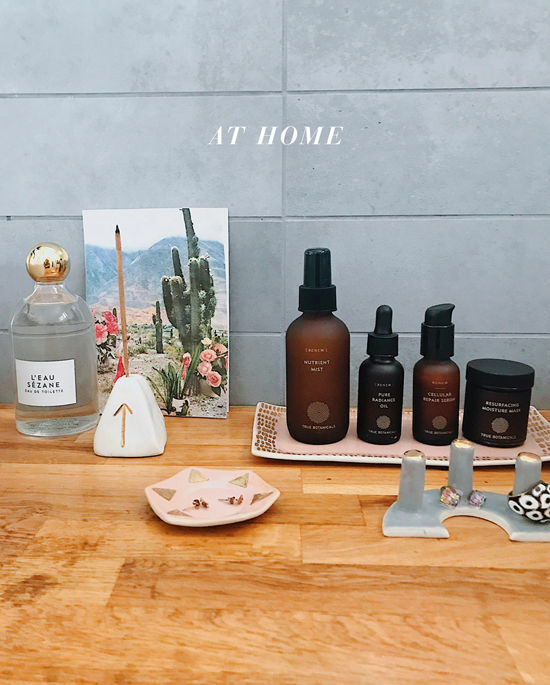 Haven’t yet taken the plunge – waiting for my next paycheck – but would love to try their pure radiance oil and/or anything and everything from their “clear” line. I’d love to try the mask!! I have a similar story- my regiment is super low maintenance & I’m not very adventurous when it comes to splurging on skin care products. I know it’s important heading into my later 20’s, and I’d love to try true botanicals! The antioxidant booster sounds fantastic. I’ve tried their line and have become a believer! It’s amazing!! resurfacing moisture mask! I need all the moisture! I’d love to try the vitamin C oil! Such a beautiful awakening I think it would be. <3 fingers crossed! I would love love love to try the radiance oil! Real talk, I’ve never had acne in my life. 6 months ago, I started dating someone and have had acne ever since. Every day I question my priority: this relationship or a clear face? Help make my decision… I would love to try the Clear Collection. I want to win this and share with my sweet mom! She’s always taking care of others before herself. I think the cellular repair serum would be amazing to start with! I LOVE the serum! Would like to try all of them! I would love to try their Resurfacing Moisture Mask! With winter on the horizon, moisture is my #1 concern, staying plump and dewy through the harsher months! I think the cellular repair serum is just what I need. I would love the opportunity to try the resurfacing moisture mask! I would really love to try the resurfacing mask! I’m in Miami I need the EVERYDAY SHEER COVERAGE SPF 20!!!! I would love to try the cellular repair serum in their clear line! Other Resurfacing Moisture Mask is calling my name! But I want it all!! 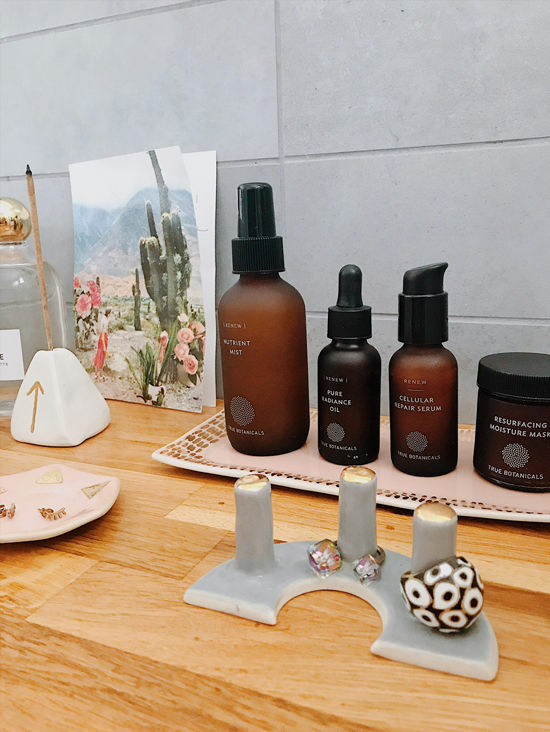 Your skin type and care journey sounds so much like mine, so I’m totally dying to try the oil. But really everything. I have combination skin so I’d love to try the Clear Pure Radiance Oil and RENEW Nutrient Mist. It’s so great to find an all natural beauty company. I’m super interested in trying this skin care regime! I would love to try the oil. Since turning 40 I feel like my skin is BLAH! I could use some kind of miracle! Thank you! Similar to your skincare journey, I barely washed my face … I just started using moisturizer around 3 years ago (I was scared moisturizer would make my skin oilier 🙄). But then out of no where around 6 years ago my skin started breaking out like I’ve never experienced. I tried all of the drugstore “acne” products to no avail. It made things worse. After meeting with a dermatologist, I decided to try and strip my skincare down to natural, simple, clean products and it worked! The downside is that I’m scared to try new products now because I’m afraid I’ll disturb what my skin is used to. With that said, I’ve actually been wanting to try the CALM Pure Radiance Oil and the Resurfacing Moisture Mask but they’re a bit pricey and I’ve been doing research in the mean time. I’ve only heard great things about True Botanicals so far! The Moisture Mask sounds like a dream! I would love to try the Calm Pure Radiance Oil! Want to try the Radiance Oil! Would love to look in the mirror and think Radiance!! I’ve been dying to try the Vitamin C Booster and the clear or basics line. I’d love to try the the repair serum! Sun damage reversal? Color me curious! I would love to use one of True Botanicals face oils, especially the Pure Radiance Oil! sounds like i need some of that Resurfacing Moisture Mask in my life, i’d love to try that. the Cellular Reapir Serum looks wonderful as well. glad to know about this brand! Oils are seriously my jam. I would love love love to try the renew oil, it sounds amazing!! I would love to try the mask!! Oh my goodness! I am so excited to get some of my own. I would love to try the resurfacing moisture mask. I feel like this is what my skin NEEDS! 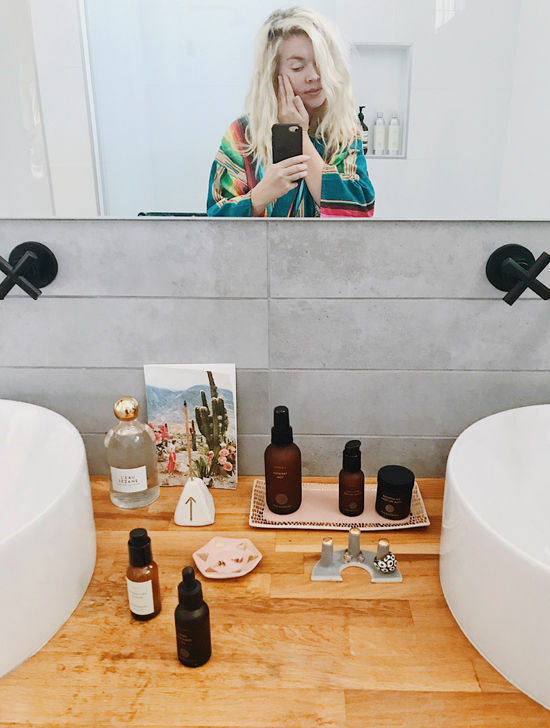 My 30s have done the weirdest things to my skin—the cellular repair serum sounds like a godsend! I’d love to introduce it to my crow’s feet. I’d love to try that mask! Looks amazing!! I took the quiz, and I’ve had my eye on the basic oil for awhile. It hard for me to switch products. I’ve been using the same face wash from Origins for two decades. Make me a believer! I just ran out of serum and would love to give theirs a try! The radiance oil looks amazing!! Would LOVE to try the radiance oil! 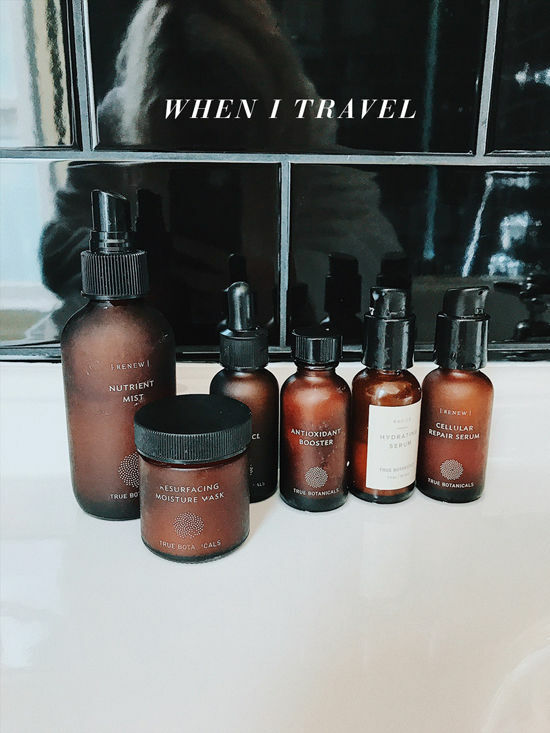 Such a fan of quality skincare that’s nontoxic. Thanks for the honest review. The most sounds amazing! Ok that skin quiz was pretty awesome on their sight! love to try the pure radiance oil, clear…just to help with any acne and hyperpigmentation that I have…it seems like it would help everything stay calm! I received the pre cleanser oil as a gift not that long ago and, holy cow, my skin is the best it’s been since pre-puberty. I’d love to give the renew pure radiance oil a try! The moisture mask & the oil! I’ve been wanting to try the face oil since seeing so many bloggers raving about it!! The moisture mask! I feel like I have tried everything to hydrate my skin and have yet to find the perfect match for my skin. Totally interested in trying the face oil and mask. My skin is freaking out since moving to Hawaii recently. I have been stalking the true botanical website for a couple weeks now. I’d love to try the pure radiance oil! Oh man would love to try the Renew facial oil! I’d like to start with the basic collection. Learn from the beginning their basic products and move on from there. Also, the vitamin C and the mask look nice too. Also the sunscreens because it’s a life essential! I’d love to try the repair serum or face mist! I’d love to try the sunscreen! Where to start! I was fortunate to try their Pacific Mist once upon a time at a Napa Valley pool fest and fell in love. Unfortunately it doesn’t fit my budget but I would love love LOVE to try their “hydrating cleanser, clear” for my acne prone skin. Thanks so much! I love all the work you do. I’ve been looking for new Vitamin C serum! I’d love to try the radiance oil ❤️ Thank you! I would love to try the cellular repair serum. It sounds amazing for my skin. I’d love to try the radiance oil! I would love to try the face oil. Cellular Repair Serum sounds like exactly what my skin needs! I would love to try the renew oil!!! I’d like to try the cellular repair serum. I have been dying to try this line! I am trying to move my beauty products over to natural products gradually. The pre-cleanse oil + hydrating cleanser looks like a great combination. I’ve been eyeing and wanting to try the Basics Hydrating Oil for awhile in the hopes it would help with the zit sitch/on-the-verge-of-wrinkles-skin I’ve got going on. Would love to try the Pure Radiance Oil, RENEW and well, everything. Love that they have no added toxins! I’d love to try to cellular repair serum!!! With winter coming…definitely the moisture mask! I have sensitive skin so i’m reluctant to try new products but this sounds so simple and lovely. I would love to try the cellular repair serum. I would love to try the Pure Radiance Oil! Loved taking their quiz. So good to have a starting off point. I would love to try the Everyday Sheer Coverage with SPF 20! Took the quiz too. i have this vanessa and it’s amazing! This entire line looks amazing!! Thank you for sharing! I would love to try the cellular repair serum. I’m in my mid-30’s and starting to notice a difference in my skin so want to give it all a try!! I’ve been using the same brand for years and need to switch! I’m so into the idea of face oils but have only so far dipped my toe in. The Radiance oil could be my new fav and I’d love the give it a try! Need a fresh start! id love to try their moisture mask! Took the quiz and I would love to try their hydrating cleanser! After making some poor decisions in my teens and early 20s and spending a bit too much time in the sun without sunscreen, I think my skin would benefit the most from the Cellular Repair Serum. Man, took the quiz and this cheapskate is realllly wanting to hope that maybe this line could help my skinthat needs it so bad! Looks like the Pure Radience Oil and Hydrating Cleanser are calling my name! YES! I love that they have the made safe label! Thats the first thing that sold be to be honest…I would love to try their Pure Radiance Oil, CALM because it literally sounds amazing haha. I totally agree that these products are worth the money – amazing ingredients that are good for you! I’d love to try the resurfacing mouisture mask, sounds amazing for dry skin like mine. The deep repair eye serum or the or the face mist… these products sound like a tall drink of water for my face! I have been very interested in masks lately so would love to try the resurfacing moisture mask. Also would love to try the eye and lip balm. My lips have been STRUGGLING during this change of season! Thanks for recommending a brand you love! I’d love to try the mask! I would love to try their clear collection! Honestly, I’d like to try everything in the Clear line, to help hydrate and soothe my acne-prone skin! I’d love to try the moisture mask! I would love to try the Everyday Sheer Coverage SPF 20— protection your skin from the sun is incredibly important and finding a product with safer ingredients that protects and is nourishing at the same time sounds incredible also love that it has different tones to choose from. Fingers crossed! Pure Radiance looks beautiful !!! Definitely the Resurfacing Moisture Mask! I’d love to try their Pure Radiance Oil, Clear! 2017 was the year I finally became committed to taking better care of my skin (that’s what 34 will do to you I guess!). Like Bri, I barely even washed my face most the time! Yikes! I still have yet to find a line I truly love so would love to see what True Botanicals can do for my skin. Would love to try the moisture mist most! Want everything but the Cellular Repair Serum, RENEW would be tops on the list. I’d love the face oil – I use pure oils for my moisturizer and LOVE it! I would love to try this brand! I’d love to try everything really BUT if I have to pick one I’m super curious to try their vitamin c booster! I’d love to try the Hydrating Mist, and, as someone with chronically dry lips, the Soothing Eye & Lip Balm sounds lovely. Hydrating Mist and Face oils…my skin is perpetually dry. So important to use organic ingredients! the hydrating mist would be great to try. I’m thinking about ordering up the samples to try the whole range! I’d love to try the Smoothing Eye & Lip Balm. Do you know if the brand is cruelty-free / not tested on animals? I would love to try the Resurfacing Moisture Mask! I would love to try the “clear” radiance oil to see if it helped with my rosacea. I’d love to try their calm oil! would love the mist and oil! All these years in the California sun I could totally use the Cellular Repair Serum to undo some of the damage! I’d love to try the radiance oil. Also where is your travel pouch from, it’s adorable! Pure radiance oil in calm please – would love to deal with uneven skin tones! The cellular repair serum looks like something my skin needs!! I just started using the True Botanicals Clear line and man oh man has it already improved my skin! I used to wake up with a new cystic pimple every day (no joke) and I’m going on almost two weeks strong without a single new one, and my old ones have cleared up. Their Pure Radiance Oil is absolute magic. Well worth the investment if you have skin problems!!! Sidenote: where is that amazing clutch from that you’re keeping your bottles in?! I would love the basics set and the radiance oil! Would looove to try the oil or the mask. I have dry skin too and have heard such good things about this brand! From you and others too. Would love to try it! I would enjoy this gift.I just started following the account and already in love it!